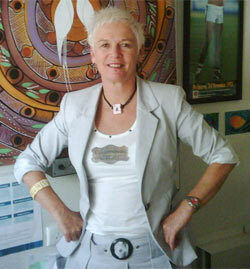 National peak body for carers, Carers Australia has appointed Reconciliation Australia Director Ara Cresswell as CEO. Carers Australia has appointed Reconciliation Australia Director Ara Cresswell as CEO. Cresswell was Director of Policy and Public Affairs, Director of Projects and Partnerships and acting CEO at Reconciliation Australia. Carers Australia President Tim Moore says Ara’s lengthy history as an executive in the Not for Profit sector will be a great asset to the organisation. Cresswell says she is committed to the community sector because what happens in this sector really matters. She says she is very excited to have joined Carers Australia at a time when the Government has shown significant long term commitment to carers with the recent release of the National carer Strategy. She says she is looking forward to working with Carers Australia Board, the network of Carers Associations, government and key stakeholders to direct and shape policy that will ultimately improve the lives of Australia’s 2.6 million carers. Cresswell’s previous roles include Director of the ACT Council of Social Service, CEO of the Australian Federation of Homelessness Organisations (now Homelessness Australia) and Executive Director of Toora Women Incorporated. Cresswell’s appointment is effective immediately. She replaces Joan Hughes who left earlier in the year.